Devialet is a brand renowned not only for its highly innovative designs but also for the understated yet beautifully implemented finishes throughout their product range. Its amplifiers boast an impressive number of patented technologies, outstanding musical reproduction, and have been well reviewed since first introduced in 2007. I’d been wanting to try out one of their Phantom wireless speaker systems for some time and when an opportunity arose with the Phantom Gold system I seized it eagerly. With the Gold Phantom tucked under one arm while my other hand fumbled with keys at the door of my villa, I found the heft surprising… Just under 12kg and consuming a mere 253 mm x 255 mm x 343 mm of space. Unboxing was a somewhat trickier than usual affair; instead of unfolding, the inner box literally ‘opens up’ to reveal a capsule-shaped device clad in a fine white cloth pouch. Removing the cloth, the Phantom sat there unassumingly on my dining table. The Gold Phantom, I learned is embellished in places with 22ct rose gold and sports dual dome contoured 6.5 inch aluminium bass drivers, a dome contoured 5 inch aluminium midrange and a titanium tweeter driver all finished in RAL 9016 white. It would have looked more at home on the bridge of the Enterprise – Gene Roddenberry would have been impressed I’m sure (even down to its superb remote control). When my wife took a look she exclaimed “Wow! Spunky” (my wife has also said that about me, although the neighbourhood dogs howl in distress each time I walk by – go figure). Launched in 2015, the Phantom incorporates a number of Devialet’s proprietary technologies which stem from the vision that progress makes the world a better place to live in. Devialet believes that by constantly challenging audio conventions, “one radical invention at a time” they can share the best sound in the world with as many people as possible. A most admirable goal. ADH – Analog Digital Hybrid – This is a hybrid amplification technology that combines what Devialet describes as the refinement and linearity of analogue (Class-A) with the power and compactness of digital (Class-D). The analogue amplifier generates optimal resistance load, while four digital amplifiers generate Phantom’s massive power output. SAM – Speaker Active Matching – By examining the characteristics and limitations of each driver, SAM works in real time to calculate the optimum signal to send to the speaker to recreate the most accurate sound possible. Devialet says this results in perfect temporal alignment and greater extension of low-end frequencies while providing continuous protection from overload. HBI – Heart Bass Implosion – A one-of-a-kind system (with, in my opinion, a rather dubious name…) developed exclusively for the Phantom, which enables it to reach the most extreme low-end frequencies ever achieved for a transducer of these dimensions. Right on down to 14Hz. I surmise it to be a combination of the innovative pressure loading of the bass drivers and clever DSP. EVO Platform – Devialet’s unique electronic architecture which allows the Phantom to improve over time through free and regular software updates, offering new features and increased performance. ACE – Active Cospherical Engine – A design driven by the acoustic principle of Olson’s pulsating sphere, Phantom radically optimises the way sound waves form and travel. Evenly, and in all directions. For perfectly balanced sound and zero surface diffraction. Whatever the listening angle. On powering up, the bass drivers ‘wobbled’ several times and the Phantom emitted a futuristic tone before settling to an unassuming stance. It’s alive! I thought to myself. In less than a minute I was able to pair it to my phone via Bluetooth and search for some tunes to play through Tidal. Very easy. Learning that Will.I.Am is one of a long list of satisfied celebrity owners of the Phantom, I decided to take the Black Eyed Peas The E.N.D album for a quick spin and… Wow! The power of the bass emanating from the Phantom was nothing short of astonishing. I pushed the volume up higher to a level where I was sure my neighbours would also be partaking in the pleasure, and the Phantom responded without any trace of strain. Devialet claims a frequency response of 20 Hz-20 kHz (+/- 2dB) with 4500 watts of power (peak, of course), and a maximum SPL of 108dB @ 1m. All of this was quite believable. On top of that the Phantom’s DAC is capable of 24-bit/192 kHz resolution (but not DSD). I decided to switch from Bluetooth to the Devialet Spark app which I downloaded to my iPhone, however, I didn’t have the same degree of ease getting the Phantom to work with the app and, unfortunately, I had to do a factory reset before it would comply. Once up and running I preferred the sound via Spark more than Bluetooth and settled on this as the basis of my investigation. I Tidal’ed through a number of tunes from Deep Purple’s Now What?, Daft Punk’s Random Access Memories and Umphreys McGee’s It’s Not Us and mixed in some blues from Eric Bibb and some old favourites from Crowded House. The Spark app is uncluttered, very intuitive and easy to get around, much like the Sonos. The Phantom presented the music with authority and clarity. The bass power (and depth) of the Phantom would put many floor-standing speakers to shame. This is a speaker with the power of a medium sized subwoofer. The midrange was well integrated with the bass and the tweeter, the vocals were smooth and the highs were well defined and without any trace of grain, all benefits of the concentric design. I decided to take the Phantom to a friend’s house one evening for a further listen and see what he thought of it. When I arrived there were other guests and I realized I would leave with no less than four other opinions. A perfect opportunity to expose others to the wonders of high performance audio! The tunes were spinning fast and furious – an air of excitement prevailed as everyone wanted to play this tune or that. To say the Phantom amazed and allured would be an understatement. At the end of the evening, two of the four shared an interesting view that, in absolute high fidelity terms, the solitary Phantom lacked a little air and presence and sounded a touch dark compared to high quality traditional audio systems they had heard. Overall, the Phantom’s presentation was very impressive considering its footprint, and the off-axis response was very good. It’s the only device of its kind I know of that is truly full frequency and capable of realistic SPLs. As a stand-alone audio speaker it was superb and in an entirely different galaxy when compared to popular types such as Sonos, Bose, JBL, etc. I decided that, what I really needed, was to hear two Phantoms in stereo mode using the Devialet ‘Dialog’ (a small hardware hub) which enables a pair of Phantoms to work as a typical high performance system would, with independent left and right speakers. My friend Ron was also intrigued so I arranged the audition for the following weekend. Ron and I arrived at the dealer showroom where two Phantom Golds had been set up for our audition. The Phantoms were placed on top of an AV cabinet relying on their natural upward tilt which allowed the tweeters to aim around ear level. They were spaced around five feet apart and toed in slightly toward the listening position. Devialet offer two other options by way of the Tree and the White Tree which are both floor stands upon which the Phantom can sit. The Phantoms can also be wall-mounted using Devialet’s ‘Gecko’ wall mount brackets which offer excellent stability and a high degree of manoeuvrability while maintaining the futuristic visual appeal. In stereo mode the soundstage appeared and the presentation opened up while otherwise remaining consistent across all types of music – deep powerful bass, smooth midrange, grain-free highs, full range at any volume level, explosive dynamics, ear bleeding SPLs at your command. Somehow, and against expectation, it still sounded a little dark. When analysing the performance of the Phantom Gold, there’s a lot to praise and very little to admonish. The two Phantoms succeeded in producing sound that is tonally correct with the precision that allows you to ‘see’ the performers placed and sized correctly within the overall soundstage. An important design goal for the Phantom was freedom from distortion and this was certainly achieved with a rating of 0.0005% (THD+N), however for some, the absence of some of the more pleasing second harmonic distortions (the type which appeal to lovers of valve amplification) may leave them with a sense of the sound being slightly on the ‘dark’ or ‘cold’ side. I’ve experienced this before with another acclaimed speaker which is also used in several well-known recording studios. Now, I’m certainly not advocating that low distortion is a bad thing just that with such a lack of distortion the sound tends to be quite different to what many listeners are used to. This takes a little getting used to. Sound reproduction (like art appreciation) is a subjective matter and this is why some listeners like valves and others prefer solid state. It’s definitely a ride – first impressions are Wow! Then taper off once you realize it’s different to what is typical… to what you’re used to. You may even tell yourself you don't like them, because really, you don’t want your illusions of what it takes to make seriously good sound to be shattered. You want to maintain the belief that to reproduce music in a believable manner you should have certain type speakers, amplifiers, cables and source components, etc. But then after listening a while longer you begin to acclimatise to the Phantom sound. Like a Borg drone it attempts to assimilate you – resistance is futile… you begin to adjust and once you do it’s hard to go back. I streamed a variety of tunes using the Spark app which included a 96/24 version of Billy Joel’s Piano Man, Bob Marley’s Legend, some Madeleine Peyroux, Umphreys McGee’s It’s Not Us (24/192), Jennifer Warnes’ The Well and Famous Blue Raincoat, King Crimson’s Live in Vienna, Mary Chapin Carpenter’s Stones in the Road, Amy Winehouse’s Back to Back, Yoko Ara’s Smile (24/192), Daft Punk’s Random Access Memories, Crowded House’s Temple of Low Men and George Winston’s Autumn. On Daft Punk and The Black Eyed Peas the Phantom really shone, the highs were well defined and without any trace of grain despite some heavily processed vocals. Similarly on the tune “Sister Madly” from Crowded House, the Phantom proved very forgiving allowing me to really enjoy what, on some systems, can be a rather strident sounding piece. The Phantom seemed to ‘put the meat on the bones’ in a way I’ve never before experienced and without feeling that it was EQ’d. 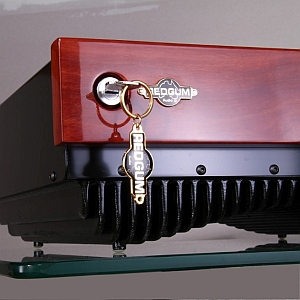 A good test for any serious speaker or system is how well it can reproduce a well recorded piano. I chose an old favourite here in George Winston’s Autumn and was well rewarded. The Phantom really surprised me here, capturing the full resonance and dynamics of the piano. Yoko Ara’s fabulous Smile album (2018) which contains the superb main title from the movie Schindler’s List was also stunning with a sense of space around the piano and the tangible presence of the bow riding the strings of the cello, back and forth, with varying degrees of pressure and speed. On the track “The Panther” from Jennifer Warnes’ album The Well the brushes on the drums were clear and tangible and her vocals were full, precisely placed and appropriately sized. The cymbals on the title track had a very realistic attack and decay, although sounding ever so slightly recessed while with the drums you could sense the impact of sticks on skin. Jen’s vocals were silky smooth and full. The electric bass was solid and precise and the soundstage had a good degree of depth. I’ve been enjoying the heck out of Umphreys McGee’s It’s Not Us (2018) album since discovering it on Tidal recently. On the track “Looks” the drums were portrayed with power and authority. The Phantoms creating a spread of sound across the front of the listening room. The guitars had bite and vocals had real presence on the track “Whistle Kids” and the attack and decay of the cymbals was superb. On “Maybe Someday” the precision timing between bass, drums and guitar showed how nimble the Phantom could be as it deftly delivered the required start-stop momentum. 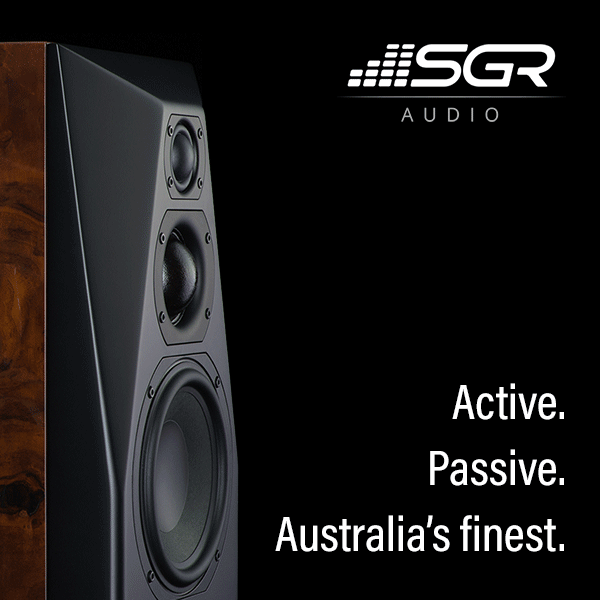 The tweeter, while very detailed and smooth, doesn’t have the last word in ‘airiness’ which when combined with ultra-low distortion and flat frequency response contributes to the sensation of a sound that is slightly on the dark side. The bass, while very fast and articulate and not at all box-like, did however seem a little overwhelming at times. It’s almost as if the Phantom was voiced to show what is possible in terms of bass performance from a speaker of this size, rather than what is natural... While it was certainly exciting, and a marvel to behold considering the Phantom’s size, it was, I felt, a little out of balance within the scheme of what was otherwise produced, and confirmed for me that small drivers in small boxes, even with substantial EQ, just don’t sound quite as natural as good quality large drivers in appropriately sized boxes. This may be a harsh criticism, as I could well imagine the Phantom’s bass appealing to a majority of listeners. Since one of the design goals was to produce a compact system with deep and powerful bass, it would have to be said that this goal was unequivocally achieved while leaving the laws of physics intact. It would be smart (and relatively easy) for Devialet to release a Spark software update that would provide users with the flexibility to adjust and fine-tune the bass level to their liking (or to the room). So… was it the ‘best sound in the world’? No. Did I seriously expect to hear that level of performance and low-end from a pair of speakers of this size and price? No. Are there many traditional 2-channel audio systems that can create an even more believable illusion? Yes. Could those systems be acquired at a similar cost? Perhaps, if carefully chosen and sourced second hand or at second hand prices. However… would those systems be as simple and compact? No. Would those systems be as innovative and stylish? Not by a long shot. We live in an imperfect world and are bound by the laws of nature – the Phantom isn’t perfect. Unfortunately we just can’t have it all. Devialet have however, through impressive technological innovation, been able to break new ground, pushing the boundaries in terms of what is possible for a compact speaker system and blending sophisticated futuristic design with superb sonic performance. Some may argue that a pair of Phantoms are expensive, but consider the level of engineering involved, the cost of tooling-up required to produce high pressure moulded cabinets and custom made drivers to deliver this level of performance and you’ll soon understand the investment. There are just so many reasons why a pair of Phantoms could be the ultimate audio system for many people. 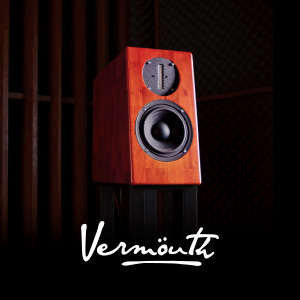 They’re compact, they’ll fit in any size room, they remove the need for the accompanying clutter of cables and power points and equipment racks, they’re visually stunning, and more than sounding fantastic, the sound they produce is quite believable. So, will the Phantom attract and enamour a discerning and devout following? Hell yeah!